Q. How do I find full-text PDFs from within EndNote? Back in your EndNote library, highlight the citation or citations for which you want to find full-text. Then, click the "Find Full-Text" icon (see below) at the top of your screen to initiate EndNote's Find Full-Text function. 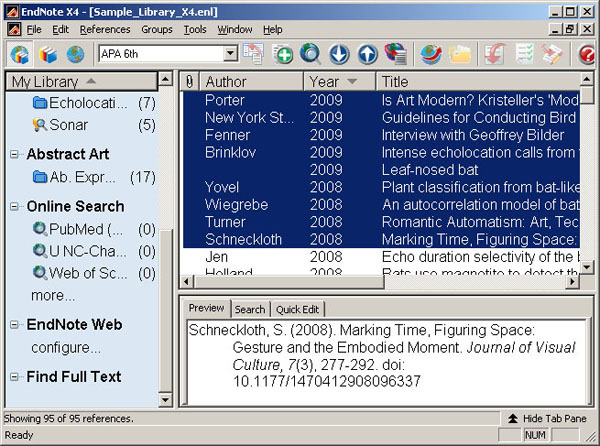 A window will appear detailing the EndNote Find Full-Text copyright and usage notice. Click "OK" to acknowledge this message and continue to finding full-text. 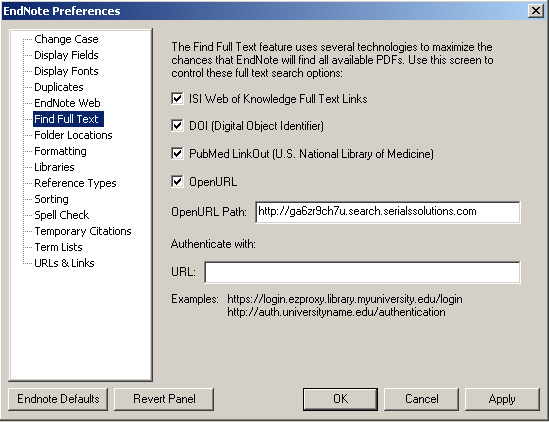 The PDFs successfully retrieved by EndNote will be embedded into the appropriate reference files. To view a PDF, highlight the citation in your EndNote library and look at your preview pane, located either on the right-hand column of the screen, or in a pane across the bottom of the screen. If the PDF is not already showing, select the PDF tab. To view the PDF at a larger size, click the "Open PDF" icon. It's important to remember that while this tool is convenient, it does not always find every full-text article even when the Research Medical Library has a paid subscription and is entitled to access that full-text. You may need to find the full-text through another route, in which case you can manually attach it within your EndNote library. To do so, minimize the EndNote window enough that you can see your desktop as well. Drag the PDF icon from its location on the desktop (or wherever you have it stored) and drop it on the matching citation. You'll then see a paper clip icon indicating that the file is now attached within that record. Watch our pre-recorded EndNote Basics Class.